The unit automatically tags barcode labels on the side walls of Petri plates. Operating the unit is as simple as feeding a stack of Petri plates on one end, pushing the “start” button, and collecting labeled plates at the other end. 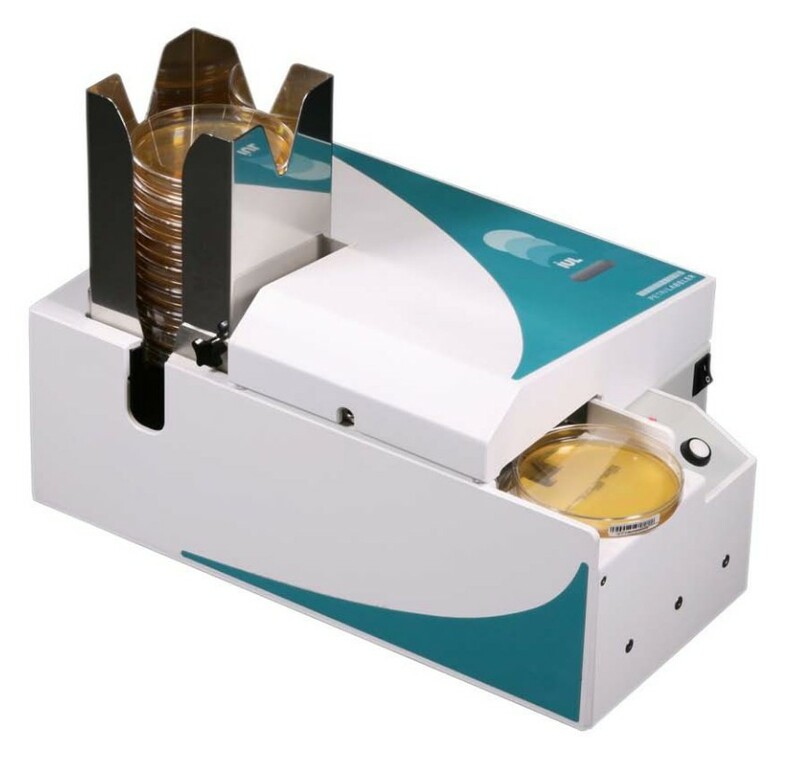 The Petri Labeler labels plate walls, enabling comfortable inspection, reading, and counting of Petri plates. General purpose permanent acrylic water based adhesive. The adhesive conforms several regulations certified by ISEGA for direct contact with dry and moist non-fatty foodstuffs.